Don is writing the post this time! It was a sunny day in Ukambani. Most days are. This part of Kenya gets little rainfall which makes it difficult to grow food. 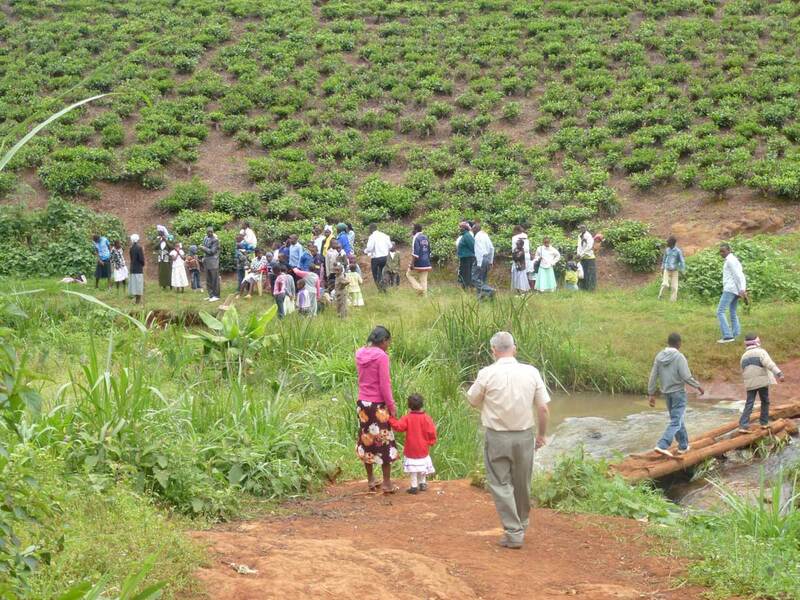 Pastor Amos Wingi had taken us outside a small, remote village called Katulani. We were walking from hut to hut visiting with those that were most in need of food. We had bought 200 pounds of maise (corn) which is the most staple part of their diet. Each family that we visit will get enough to provide for them for several days. As we approached a hut a woman welcomed us warmly. “Karibu!”, she said. Her home was a small structure built from brick. Bricks in this area are the easiest building material to acquire. The red soil here is very full of clay. The people mix the soil with water, form the stiff mud into bricks and let them air dry. Then they stack them into a structure the shape of an oven with an open passage on the bottom where they build a fire to harden the bricks. Her home was maybe 8 by 10 feet with a roof made of straw. There is no kitchen inside; she cooks outside. There is no toilet inside, but a small community outhouse nearby. No electricity. No running water. The people that live in this area have to walk some distance to hand carry the water for their daily needs. She was holding a baby in her arms as we began to share the gospel message with her. Her acceptance of Christ or even listening to us is not a requirement for our gift of food, but she listened eagerly and her eyes began to moisten when she said “I want to be a Christian.” We are tremendously thrilled when people realize that we are here because the God that sent us loves them. Life is hard in Ukambani. People struggle just for food, water and shelter. There are no luxuries here, only survival. Like this woman, many people turn to the local witch doctor for their spiritual needs. They need some kind of hope, but the hope that the witch doctor can provide is severely lacking and they know it. Emotional prayers of repentance that are forgotten by tomorrow are not what we seek. We look for a life changing event in a person’s life that will build them into a true disciple of Jesus Christ. We want them to find the relationship with Christ that will not only give them eternal life, but fill their life here on this earth with hope, joy, and peace. Didn’t Jesus tell us “Go into all the world and MAKE DISCIPLES…”? This pastor lives far from the people he works with and he has no means of transport except walking for hours or hiring motorcycle transport which he can little afford as he is very poor himself. We are praying that God will put it on someone’s heart to give $1,000 to purchase a motorcycle for him. Your gifts into the ministry of Burning Plow, no matter how large or small, help make it possible for us to reach people like this family in Katulani. Please ask God how you can help. And pray for all those working with Burning Plow Ministries. 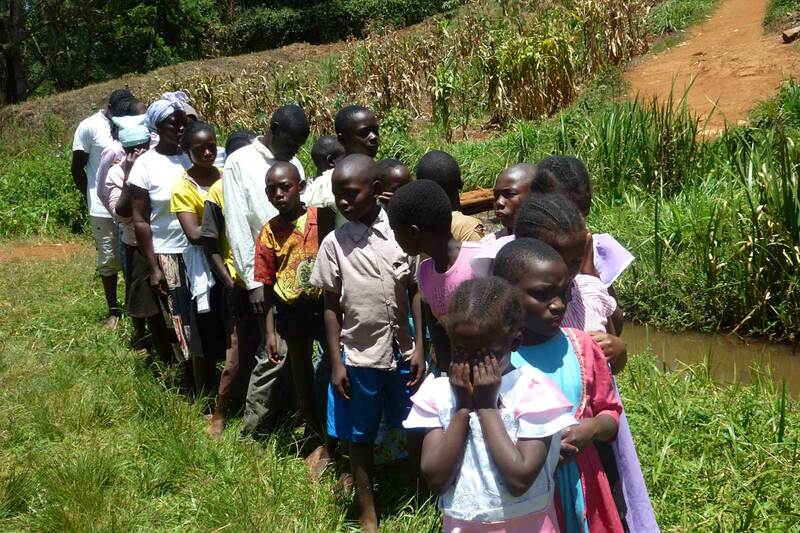 In March this year we (Burning Plow) helped Pastor Vincent Mokayo plant a new church in Kawaida, Kenya. We provided the rent and food for lunches on Sundays. Pastor Vincent moved his family into the community and he sold one of his own cows to purchase a sound system for the new church. Don taught basic Christian doctrines each Sunday afternoon. 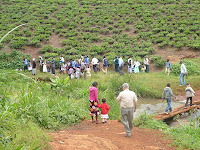 The Sunday after he taught on baptism 16 believers made the walk to the river near the church and followed Christ in baptism. 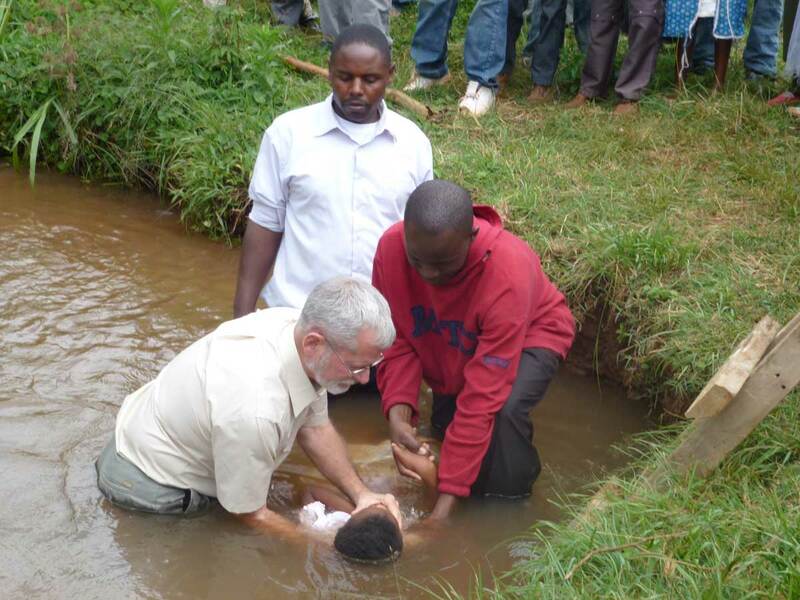 In September Pastor Vincent asked us to return for the baptism of an additional 23 believers! In the last 8 months the church has grown so much that they can no longer fit all the children and adults in the building at one time. They have plans to enlarge the building when funds are available. But this has not stopped Pastor Vincent from continuing to reach out into the community. He has formed home groups and is training leaders to evangelise their neighborhoods. While we are here in the US Silas Odinga is showing The Jesus Film in these home groups. Please join us in praying that more people in Kawaida will come to know Christ personally. We are excited that the work we started in Kawaida is continuing while we are here. This is more of the “good ground” God has given us to work in Kenya.